To try to solve the problem, Instagram will be stepping away from chronological timelines and implementing a change to the order of posts that show up in a user’s newsfeed. The algorithm that dictates the order in which posts appear will be based on the likelihood of a user’s interest, the timeliness of the post and a user’s relationship with the person posting. Although Instagram assures users, “all the posts will still be there, just in a different order,” this change can negatively affect small businesses’ content by potentially burying it in followers’ timelines. This can result in not only a drop in engagement, but also in customers and sales. So how can you be sure your content doesn’t get buried? Many company accounts have started asking followers to turn on their notification settings, so users can see their content more easily; however, many followers have only gotten upset with the influx of pages asking for this, causing a negative effect. Be sure that your posts are coming up toward the top of newsfeeds by buckling down on your strategy before the change happens – post high-quality, targeted, timely and relevant content. If you have questions about Instagram’s new update and how your business can prepare for the change, email info@lavozmarketing.com. 1914-1918 – During World War I, women took on many industry and public service jobs, expanding increasing the views of what women could do. This was important because these advancements lead to increased support for women’s suffrage. 1920 – Congress passed the 19th Amendment, guaranteeing women the right to vote. 1939-1945 – During World War II, millions of women filled the job positions left behind by men that went to fight in the war. Women worked in defense plants, factories and more, acquiring more skills and opportunities. 1963 – Katharine Graham takes control as the President of The Washington Post. She becomes CEO of the paper in 1973, making her the first female Fortune 500 CEO. 1999 – Carly Fiorina became the first woman to lead a Fortune 50 company when she took control of Hewlett-Packard. 2013 – General Motors named Mary Barra CEO, making her the first female CEO of a major automaker. According to Business Insider, women make up about 47% of the workforce, but only hold 14% of executive positions in Fortune 500 companies. Women also own about 40% of businesses. We have come far in history, but still have a long way to go in the business world. According to the Small Business Administration (SBA), about half of startups survive five years and only one-third survive ten years. Although the economy has been improving, new businesses are still at risk of failure. New Business Incubators are on the rise, especially in California, and are a great way for businesses to gain mentorship and industry connections. However, they are not a sure-fire way to create a successful business. Entrepreneur Gareth Forde from the startup “Tiny Kicks”, a product that measures the movement and number of kicks within the womb to help mothers and doctors track fetal health, spoke to the OC Register earlier this year about his acceptance to the EvoNexus business incubator in Irvine. Another key driver of business success is branding and engaging your audience through messaging. Without a consistent, well-developed brand, a business can fail to reach the proper audiences or fail to accurately engage the intended audience because of incorrect messaging. One important step to developing your brand is to ask the key questions: Who, What, Where, When, Why and How? – not quite in that order. What: What is your business? What is the problem or issue your business is aiming to solve or address? Your business should be trying to say something through its products. What is it trying to say? What is the message? Who: Who is your target audience? Who will be interested in your business or product? Who are you intending to reach? What is your target audience like? Are they young, old, professionals, parents? Audience demographics are key in determining how to market your product and create the proper messaging. Why: Why is your business or product important? Why is it different than other similar businesses? The truth is, there are very few original ideas anymore…so why should a client or customer pay attention to your business over the competitors? How: How will you develop your business’ voice and personality? Will you use social media to engage your audience? Will you have a website? 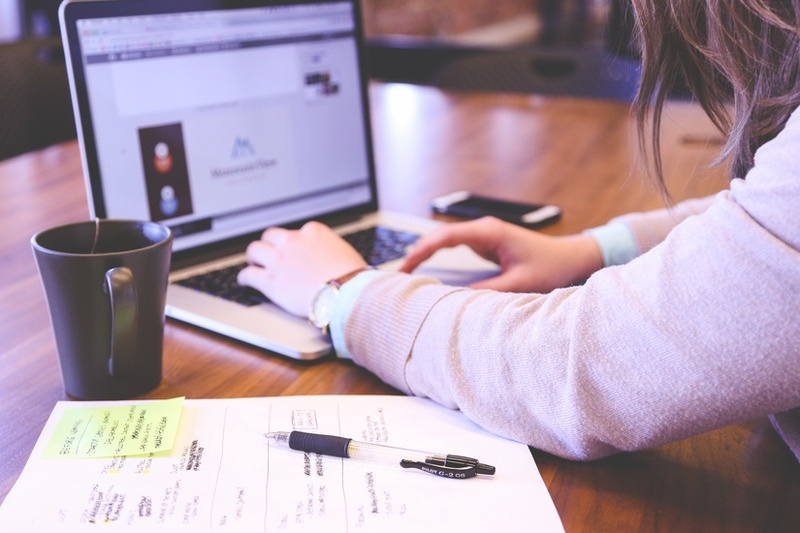 How will your website’s design, logo and verbiage convey your message? Where: Where will you reach your target audience? Is it best to reach them at trade shows or online? Are mailers effective? Understanding where your audience engages is key to ensuring you are heard. When: When are you launching your business? 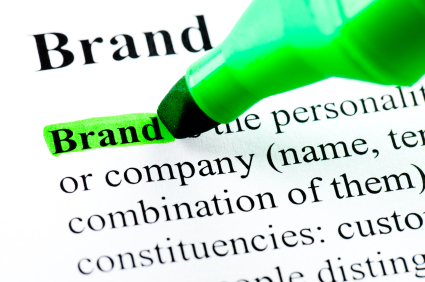 It’s best to understand your brand and develop it before you launch your business. Developing a timeline can keep you organized and keep your message on point. Asking these basic, but important, questions will help you develop a strong company brand. Your brand is the essence of the business – it’s your unique differentiator, your mission, your personality and more. If you have any questions about the key branding and marketing steps to starting a business, please email info@lavozmarketing.com. 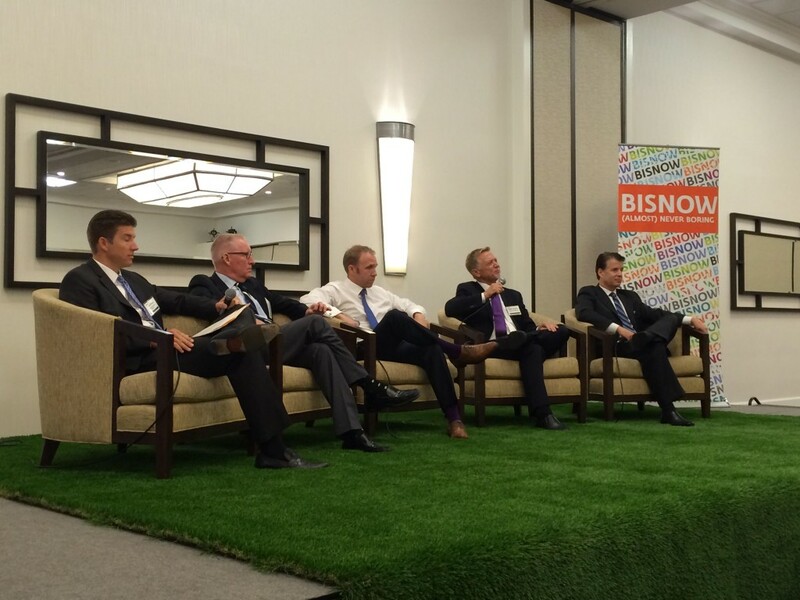 La Voz Marketing recently attended BisNow’s 3rd Annual OC Construction and Development Conference. The event attracted industry leaders and newcomers alike, all ready to discuss what it takes to get a new project off the ground in the current market. The panelists shared insights on unique strategies behind creative renovation and repositioning of existing assets. Creativity is being rewarded in the current market, whether for design or how a deal is structured. The best marketing for a project is the quality of its design and brand. From a demand standpoint, there are large differences in the tenant/buyer mix between the current cycle and the last cycle. From 2004 to 2007 most of the industrial development projects in Orange County were smaller buildings driven primarily by SBA financing. During the recovery and expansion cycle, however, demand has been most prominent in larger buildings. Developers have to pay close attention to their basis to generate their desired return. Ever-increasing land costs, higher fees and an increase in construction costs leave developers with no other option. Many new projects require substantially higher equity contributions for the investor/developer to get started during the last cycle. Investment capital is coming from overseas and from other sources. Investors are competing with users for small or large vacant buildings. Chinese business owners and investors are buying most of the industrial buildings. Just as creative design is being rewarded, creative branding for properties and developments helps drive demand as well. La Voz Marketing specializes in creative branding and marketing for office, retail, commercial and industrial properties. Contact us at info@lavozmarketing.com for more information on our real estate specific services. According to Salesforce, 73 percent of marketers claimed email marketing was a core strategy for their business. It is becoming a trend to use it and you shouldn’t fall behind. In fact, eMarketer says 69.7 percent of US Internet users prefer email as the method of communicating with businesses. You can direct attention to your website by offering sneak peaks of some of your content, or increase your social media followers by inviting people to share deals on social media. Email marketing tools, such as MailChimp or Constant Contact, can help you get started on your email marketing efforts without a budget. Once you learn how email marketing works, don’t be afraid to upgrade! Spending extra money on your email designs will attract potential customers and increase both brand loyalty and engagement. Your conversion rates will help you to determine whether your email marketing budget and efforts are enabling a profitable return. Find out what is working and what is not working using the data you’ve collected. Serve your people with great designs, appealing copy, and better offers such as giveaways, discounts, and special deals. According to Salesforce, marketers consider email content and design as the most critical aspect of an email by 79 percent and as one of the most effective aspects of an email by 66 percent. Mobile-friendly email designs should also be something to consider since Forrester’s research reports that 72 percent of US online adults send or receive personal emails through their smartphones at least weekly. 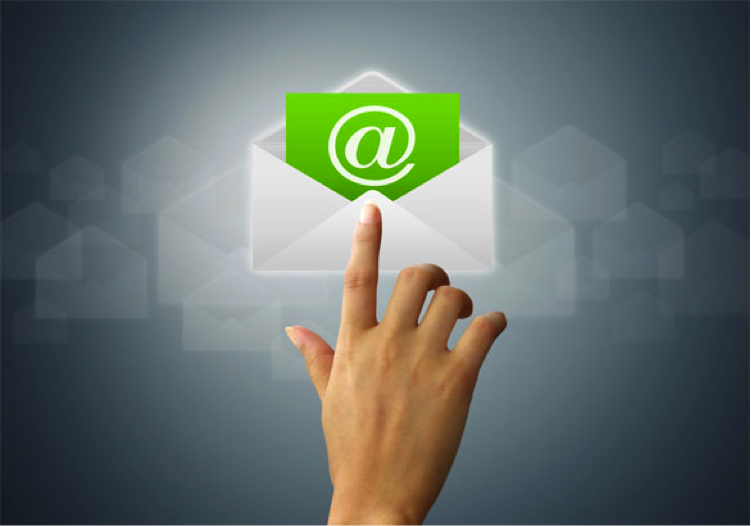 For more information about email marketing, contact us at info@lavozmarketing.com. Every year brands seek to increase their favorability, but only a few are successful in doing so. If you are wondering what you can do to increase your business’ impact, find a catalyst. Forbes considers catalysts as the “bold, simple and powerful statements that indicate what a company stands for, where they are going, and what matters – to customers and employees”. Companies with outperforming brands had leaders who focused on how the brand could communicate its strengths, which in turn energized and accelerated the business. You may already have the inspiration for your catalyst in the words and symbols representing your brand. Use that to your advantage. For a broad change or already loved brands, a powerful catalyst can also be a new visual brand identity. Most of the time your brand is already taking the right action, without creating a big buzz. As marketers, you should be able to identify those actions and highlight them. For example, if a new business strategy is implemented in a large company, embrace it by aligning branding, communication and PR efforts around that new strategy. Don’t take this part for granted. Your employees have a great impact, both internally and externally. Employees need to be aware and supportive of a common goal or purpose to successfully deliver the brand externally. For examples on how catalysts have ignited change in companies’ brands, please check out Forbes’ article. 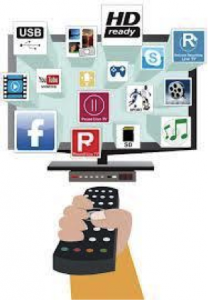 A Nielsen report, Shifts in Viewing: The Cross Platform Report Q2 2014, reported an undeniable shift in television viewing habits amongst American consumers. Although viewership on traditional television is reporting a decrease, the consumption of multimedia content continues to rise. Millennials, generation x and baby boomers alike are increasing their viewing time on digital devices. Digital viewership has also increased by two percent among Hispanics, eight percent among Blacks and ten percent among Asians. This shift in television viewing habits gives brands a unique opportunity to connect with consumers on multiple platforms. 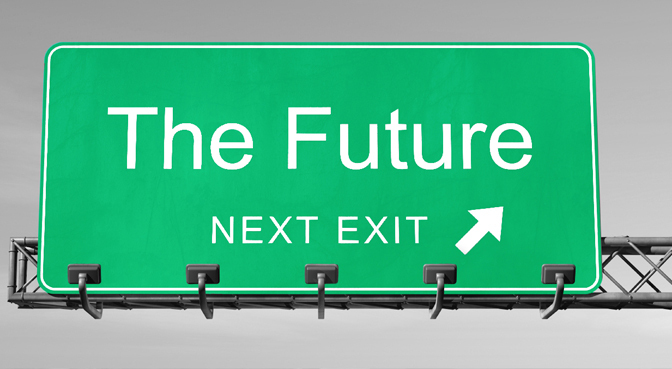 Digital advertising gives brands the ability to direct consumers to its landing page from an ad. Brands can also engage in pop culture conversations online and share video links on online platforms. For example, DiGiorno Pizza’s witty tweets during NBC’s Sound of Music Live garnered the brand publicity in a way unheard of over five years ago. Also, brands can create their own digital television programs for their audience’s enjoyment. Chipotle developed a web series, Farmed and Dangerous, which stresses the importance of Chipotle’s stance on food safety and sustainable farming without placing a burrito in the show. Denny’s recently launched a web series, “The Grand Slams” which will feature its favorite breakfast items and their stories. According to Restaurant News, “the series targets millennials designed for viral social media play.” Just like social media, brands that are innovators and early adopters in the digital television space will reap the benefits in the future. In a recent Fast Company article, Jarone Ashkenazi discusses the future of public relations and its changing landscape in today’s business world. Prior to the internet, public relations used to operate under the filter down theory and public relations practitioners relied on traditional media to get the word out. In today’s world, public relations, marketing and social media are interdependent on each other and a brand and its audience communicate in a dialogue. Although the storytelling aspect remains the same, measuring the tactics’ effects on sales and marketing goals is more critical than measuring impressions solely. Many brands have the opportunity to share their story through various online channels such as websites, blogs and social media. Although engaging influencers and pitching news outlets is still important, you do not have to wait for someone else to share your story. A google search that directs consumers to a problem-solving product that your brand offers will drive conversions. Listen to the conversations your audience is having about your brand. You will learn about the positive aspects and things you need to improve. A crisis can be avoided by simply listening. Monitoring the conversations may also lead to a potential story idea for your brand’s blog and influencers. If your audience is active on a new social network, your brand should join the conversation. It will help your brand in the long run. However, we do not recommend for that you join every new social network. A collaborative effort of content creation will engage your consumers and allow them to become a part of your brand. For example, Doritos created the $1M Doritos Super Bowl ad contest which encouraged consumers to create a Doritos ad for the opportunity to be shown at the Super Bowl. Besides impressing the Doritos execs, the $1M Doritos Super Bowl ad was chosen by the general public. At the end of the day, your brand must demonstrate value to your consumers. People are utilizing and will continue to purchase your product if it’s value is demonstrated consistently. When brand trust is proven, consumers will recommend your product to others. According to the Fair Trade USA website, the purchase of fair trade products ensures quality products and a safe work environment for workers. Purchasing fair trade products also keeps children in school and builds sustainable communities. Fair Trade month occurs every October and it aims to raise awareness about the benefits of purchasing fair trade products. Although there are many different types of fair trade products consumers can purchase, they are not readily available at many stores and establishments. Educate yourself about Fair Trade products. We recommend looking at the Fair Trade USA website to learn more. Buy Fair Trade Products. You can purchase fair trade apparel, chocolate, coffee, fruit and more. All fair trade items are marked with the official fair trade logo. We recommend Orange County coffee lovers to purchase their next cup at The Lost Bean. Also, a list of fair trade products can be found here. Ask companies for fair trade products. Talk to a manager or fill out a comment card asking for fair trade products at the store. Participate in a campaign near you. You can utilize this website to find a campaign nearby. Follow Fair Trade USA on Facebook, Twitter and Instagram. You can also join the conversation on social media by utilizing #fairtrademonth. According to Russel L. Hanlin, CEO of Sunkist Growers, “An orange…is an orange. Unless, of course, that orange happens to be a Sunkist, a name eighty percent of consumers know and trust.” This quote best illustrates what a brand is and verifies the importance of a brand strategy. 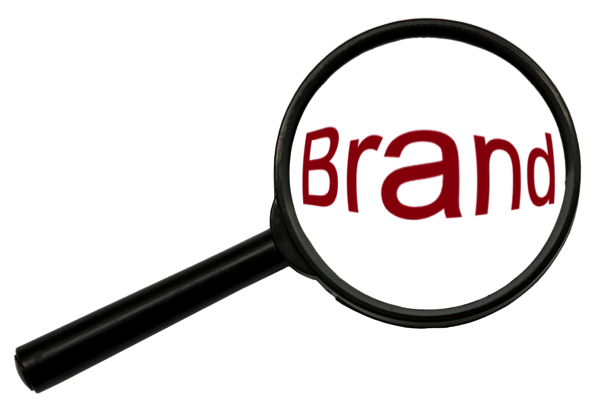 A brand is what your company is known for and what people perceive of your company before, during or after the sale. This important asset enables your consumers to recognize you, differentiate you from competitors, and identify what you stand for. The right brand strategy will allow you to identify, leverage and profit from what makes your company unique. For example, Virgin has a strong brand image amongst all of its properties. The brand is known for quality, hip and modern entertainment and travel entities. Its owner, Sir Richard Branson, is viewed as the ultimate embodiment of the brand. Virgin Group’s messaging showcases who the brand is at its core and the additional visuals such as a logo and tagline support it. Recently, Fortune wrote an article about Airbnb’s new logo and the criticism it has undergone among branding experts. The new logo, while not the brand itself, is a manifestation of the brand and the company feels it best represents what they want to convey. In order to be effective, however, the logo must stem from a strong brand foundation that defines Airbnb in the marketplace through actions (not just visuals). Time will tell if the new logo illustrates Airbnb’s brand strategy and if public perception will support it long term. For more information on how to define your brand and develop the right brand strategy, contact us at info@lavozmarketing.com.